Could this be a UFO landing spot? Or just a strange kind of pyramid? It can also be a natural structure, then. 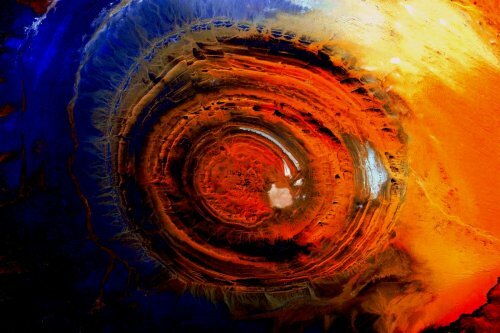 Richat Structure is one of the most intriguing among the wonders of Earth. As for the reports and some images from NASA, the Richat structure appears to be like a prominent “blue eye” in the Sahara Desert when viewed above the space. On land, the structure can be accessed in the small desert place of Ouadane in the west-central part of Mauritania, North Africa. A total of 40-50 km in diameter and its fascinating structure was first noticed in outer space, some astronauts used it as a landmark over when they passed over Sahara desert. The Richat structure contained rhyolitic volcanic rocks, gabbros, carbonatites and some touch of kimberlites. It was first believed to be a crater due to its circular shape and the presence of coesite, an indication to metamorphism, in rocks that are collected from the Richat structure. However, in further investigation, these rock samples showed that barite had been misidentified as coesite. 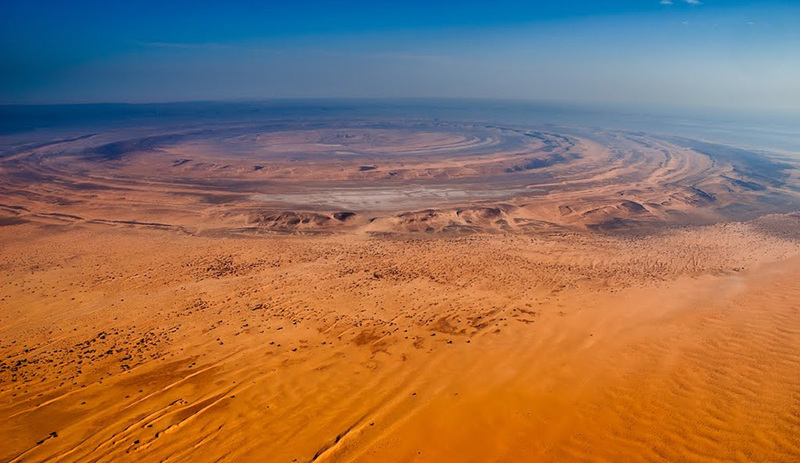 Some speculations suggested that the feature of the Richat structure can be marked upon the existence of aliens. But, the study revealed that it wasn't like that a certain entity exists. On the other hand, many researchers see the structure as one of the pyramids created by an ancient civilization that was affected by some phenomena on which become the reason for its fall. 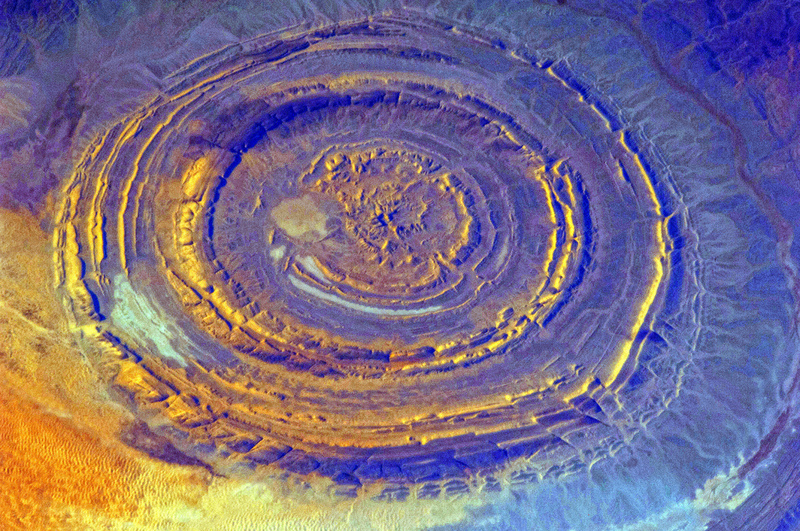 Moreover, with the progressive studies handed by some scientists and anthropologists that provided evidence, the Richat structure was proven as such as a natural feature in Earth only and have nothing to do with aliens and ancient people.